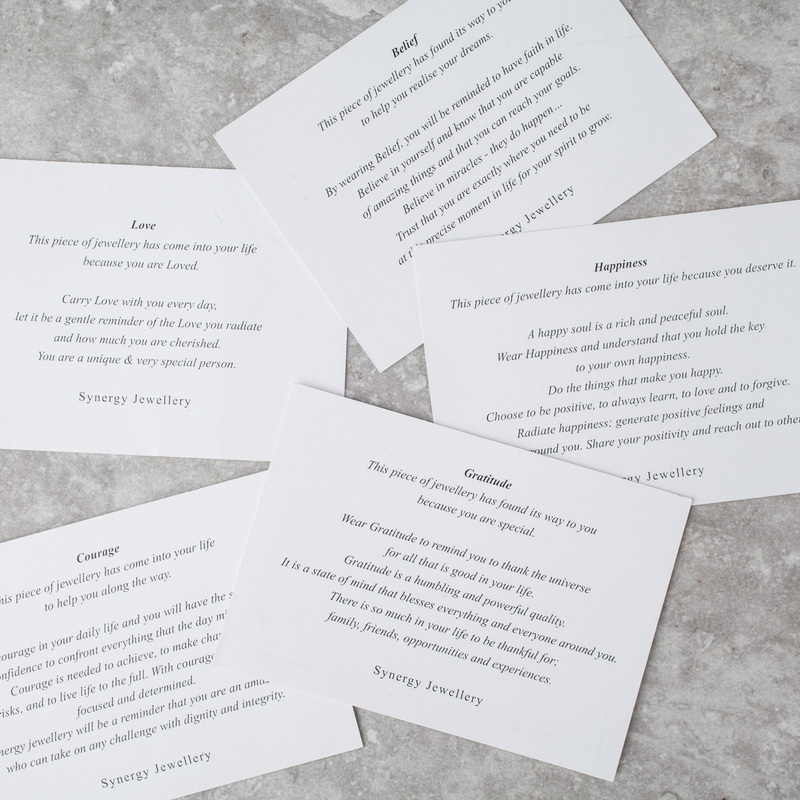 Customise this necklace by choosing from Synergy’s 5 affirmations; love, belief, courage, gratitude & happiness in the drop down menu to create your perfect necklace or gift. A contemporary, elegant and chic design. 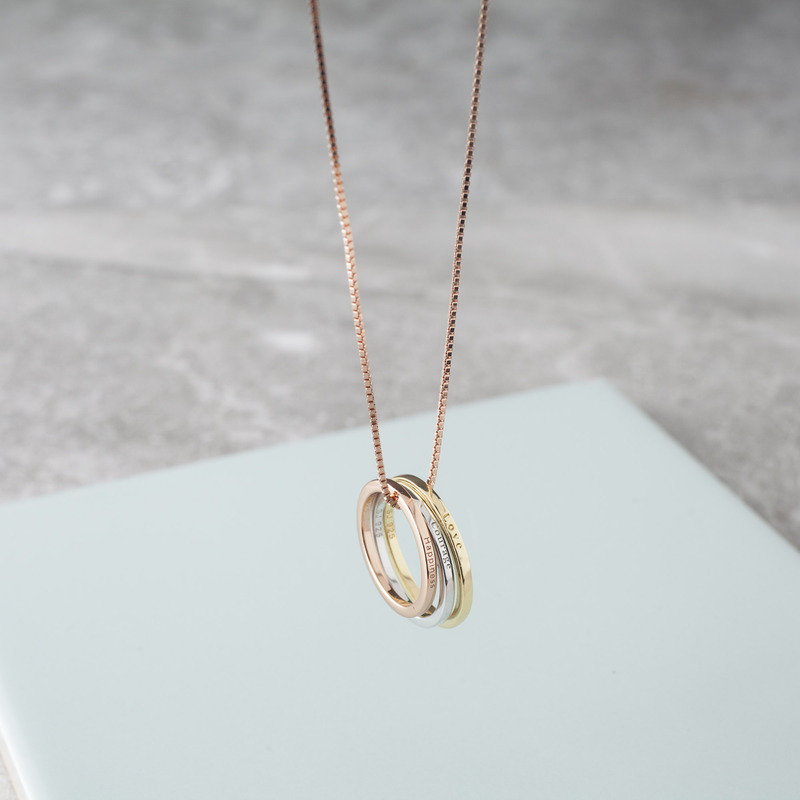 Our Aura Necklace is the perfect option for those who like to tie outfits together without throwing them into too much glamour. 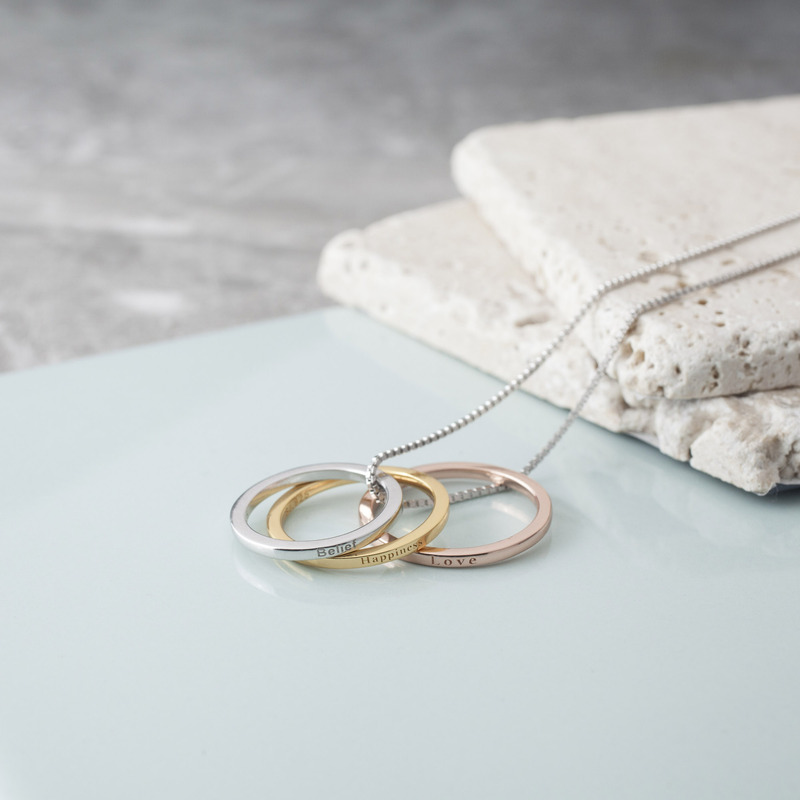 Wearable day or night, this fresh design adds a gentle touch of class. Let your affirmations empower you everyday. When you see yourself wearing your affirmations know they are with you every step of the way. 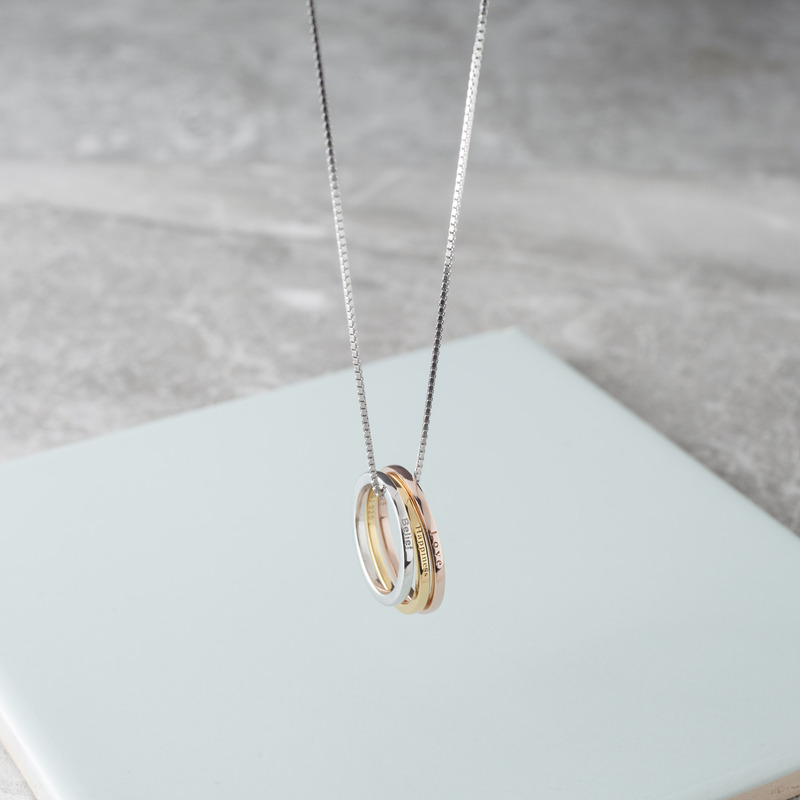 The Aura Necklace is a visual reminder of the powerful qualities we have within and to remind us how strong and special we truly are. 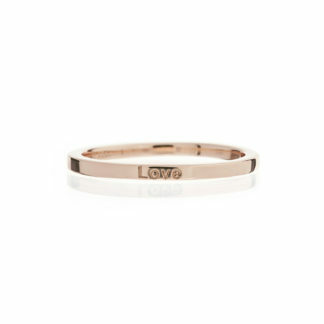 Solid 925 sterling silver, white gold, rose gold, 18ct gold plated (0.3 microns). 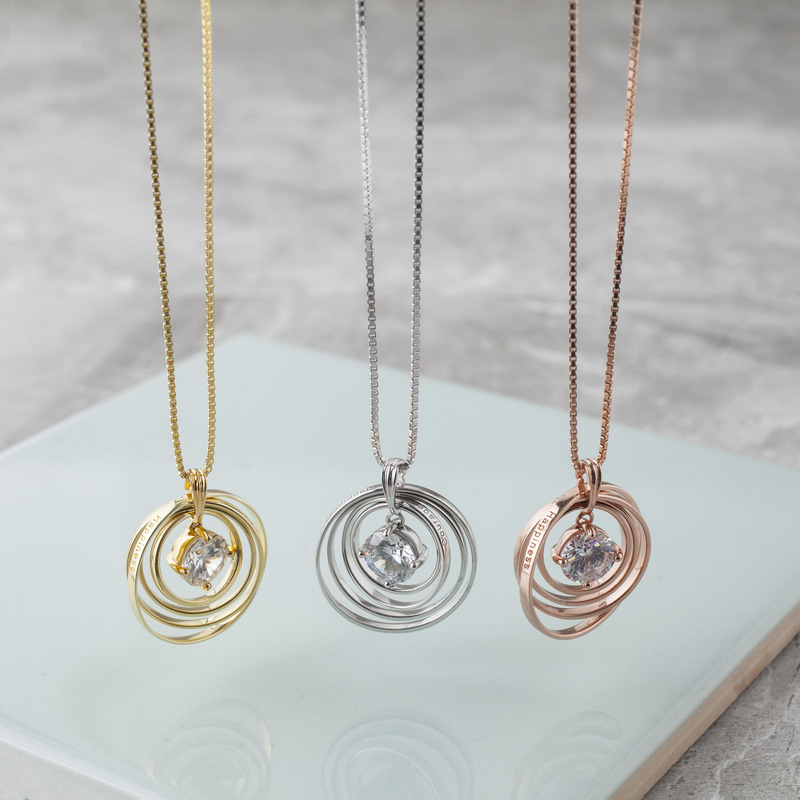 Mix and match three spheres in white gold, rose gold or gold plating. Each affirmation is set in molds and not personalised at the time of purchase. If you have a preference to match a sphere colour and word, leave a comment on your way though checkout or send us a message.